In 2014, the turnout was 59%. 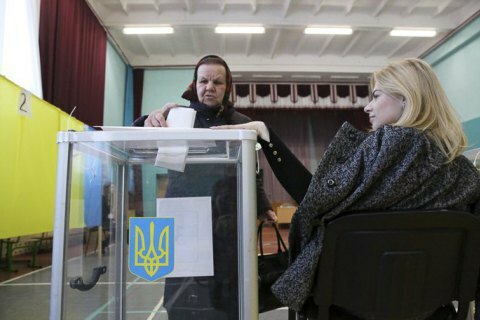 The Central Electoral Commission (CEC) has announced that the turnout in the Ukrainian presidential election at 8 p.m., when the polls closed, exceeded 63%. After the CEC processed initial data from 181 out of 199 election constituencies, the turnout stood at 63.5%. This is more than in the 2014 extraordinary presidential election when it was around 59%. The highest turnout, 68.87%, was registered in Lviv Region, the lowest one, 46.99%, in Transcarpathian Region. In Kyiv, the turnout reached 68.2%. According to the Opora election monitoring NGO, the turnout was 63.2%. Petro Poroshenko's election HQ put the figure at 63.1%. The final results of the vote are to be made public by 10 April. The runoff, which is likely to feature comedian Volodymyr Zelenskyy and incumbent Petro Poroshenko, will be held on 21 April.